One morning on the Appalachian Trail, Liv woke up and said, "I can't wait until the day is over so I can get back into this sleeping bag." She hadn't even gotten out of it yet. 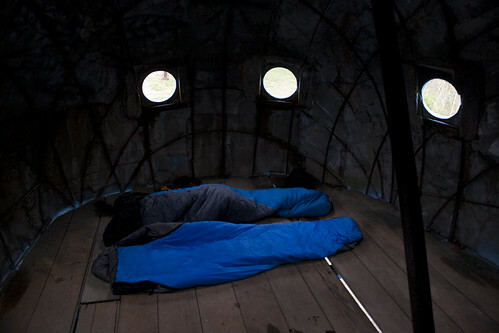 I mention that to illustrate how great a great sleeping bag can be. I carry one of two synthetic bags. A lightweight 40°F bag in the summer that weighs 26 oz., and if temperatures could get colder than that, I take a 15°F bag, which weighs 45 oz. Note: I fill my sleeping bag stuff sack with extra clothes, rain gear, bandannas, or any other soft gear I'm not using that night, to make a pillow. If you can't afford two sleeping bags starting out, a 30°F - 35°F bag is a good compromise, and you can always add a sleeping bag liner to reduce the temperature rating an additional 8 - 15°. 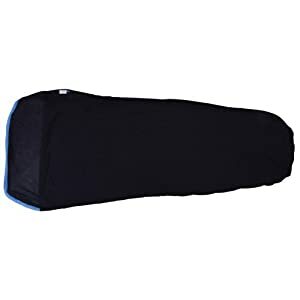 If a 30° bag isn't going to be warm enough on a particular trip, and don't want to spend a couple hundred dollars on a second sleeping bag, for about $50 - $60 you can get a sleeping bag liner and subtract up to 15°F from your bag's temperature rating. I'm currently working on making my own for a fraction of this cost, more on that later. They offer other benefits as well. Liners are more comfortable against your skin than the typical sleeping bag nylon or polyester. They will minimize wear and keep your bag cleaner. 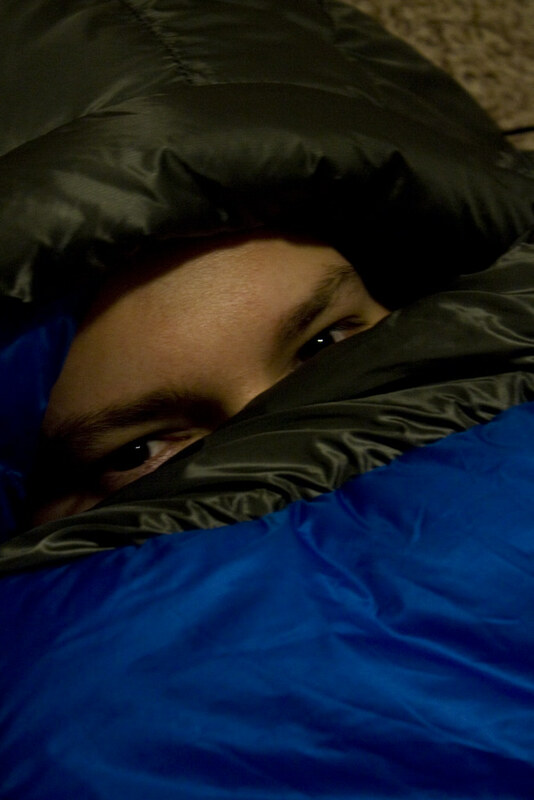 A liner can be washed separately, reducing the number of times you have to wash your sleeping bag. Washing can compress your bag's insulation and make it considerably less warm. Not to mention cause even more wear and tear. In other words, a liner can save money in the long run by extending the life of your sleeping bag. And if you're camping in very warm weather, you can leave the bag at home and just sleep inside your lightweight 8 oz. liner. When deciding on which temperature rating you'll need, remember that manufacturers assume you are wearing a layer of thermal underwear and laying on a sleeping pad. And since metabolisms vary, and the rating methods vary from one manufacturer to another, temperature ratings are only a guide. If you're a cold sleeper, if you're not staying in a tent, or you're not using a well-insulated sleeping pad, you'll probably want to add at least 10-15 degrees to the rating. W H Y I U S E S Y N T H E T I C O V E R D O W N ? Because I'm cheap. I'm not proud of that, but I am what I am. Down bags are much lighter than synthetic, so I would love to have one, but the weight savings comes at a significantly higher cost. When trying to get my pack weight lower, I made a list of all my gear that I knew could be lighter. Then I figured out how much it would cost to replace each item and how many ounces it would save. (Yeah, I used an Excel Spreadsheet. I can't decide if I should be ashamed of this attention to detail. You could say this is either smart or borderline obsessive compulsive and I'd agree with you either way.) Next, I sorted the list by highest weight savings per dollar and slowly replaced those items first. Replacing my sleeping bag was near the bottom of that list, so I haven't replaced it. Rather than admit my cheapness, I could have told you I go with synthetic because a down bag won't dry as fast and will lose 90% of it's thermal properties if it gets wet, which is definitely true, but so far, I've never gotten one wet. I keep my sleeping bag in a water-resistant stuff sack in addition to the two trash compacter bags that line my pack. I could drop it in a lake and it should stay dry. So, yeah. The real reason I use a synthetic bag, is that they are much cheaper. I found my 40° bag on clearance off-season at Backcountry.com for $38, not bad for a 26 oz. bag. If I wanted to spend 10 times more than that, I could have bought a high quality down bag and saved 10 or 11 ounces, but I have a hard time justifying that. My 15° synthetic bag cost about $170 and weighs 2 lbs. 13 oz. When I'm able or willing to spend 2-3 times that amount on a 15° down bag, I'll be able to shave a pound off the weight. Again, I haven't been able to convince myself to do that yet. Sleeping pad sleeve - I haven't used a bag with this feature yet, but it intrigues me. Some sleeping bags have the underside insulation removed and replaced with a sleeve for your sleeping pad. It has the added benefit of preventing you from rolling off your sleeping pad at night, which can make you cold and interrupt your much needed sleep. Zipper compatibility - If you're backpacking with your significant other, you can purchase sleeping bags that zip together to form a two-person sleeping bag, but still use them separately too. Finally, I won't recommend specific sleeping bags because there are so many great ones that will work just fine and I can't try them all. I'll just say that you're doing fine if your summer bag weighs less than 2 lbs, and your cold weather bag weighs less than 3. Also, if you're new to this and reluctant to use a mummy bag. Remember they are warmer for the weight. When I bought my first mummy bag I thought I would feel claustrophobic, but I quickly got used to it.